This entry was posted in Research Heroes and tagged research heroes, thaler by Elina Halonen. Bookmark the permalink. 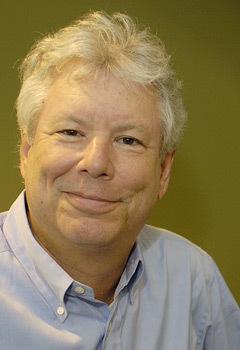 I took a class with Thaler all the way back in 1993 at JGSM, and it is still the class I reference the most (okay, that and Stats, because I was a loser English major). A smart guy who loves the material, and that material is so dang USEFUL — what more could you ask for? I still want to say thanks. Interesting to hear, again, about the importance of field studies — for young researchers, it often seems like specialization (in lab OR field work) is a necessity.. the people who can do both well are all the more inspiring! Interesting views – would you like to elaborate on that?